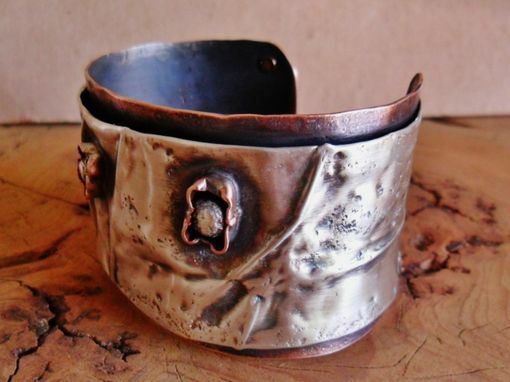 Sterling silver artisan hand crafted cuff bracelet. 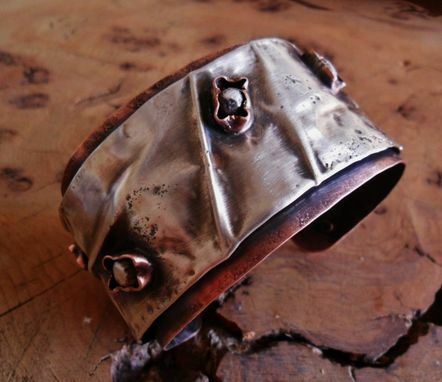 A unique, solid and hand crafted bracelet with fold formed sterling silver, lightly dimpled on a concrete surface. 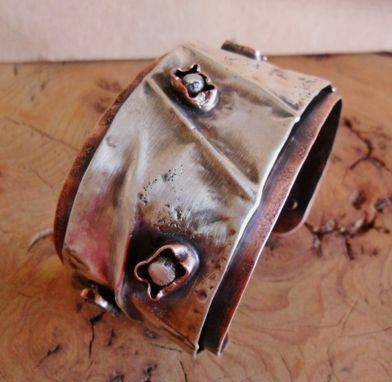 Sterling silver balls are set in curved copper settings organically placed on the cuff. 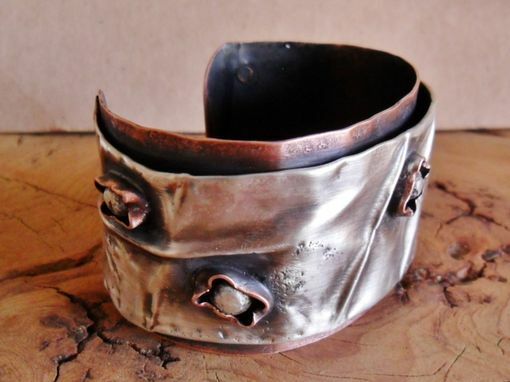 The sterling silver is riveted to a darkened band of copper, raised off the band a few millimeters for added dimension. I added a patina and put a matte finish on the metals, with light polishing at the end to leave the lower areas darker adding more interest to this piece. This is a bracelet that definitely can be for a man or a woman, a great gift for that special someone. It comes gift wrapped and is truly one of a kind. The 6 inch length will fit an average size wrist and can be gently opened and closed to fit to the wearer. You can also have me create one any size you need as well. There will be a little extra cost which is for the extra material used. The width of this piece is 1 1/2 inches wide.